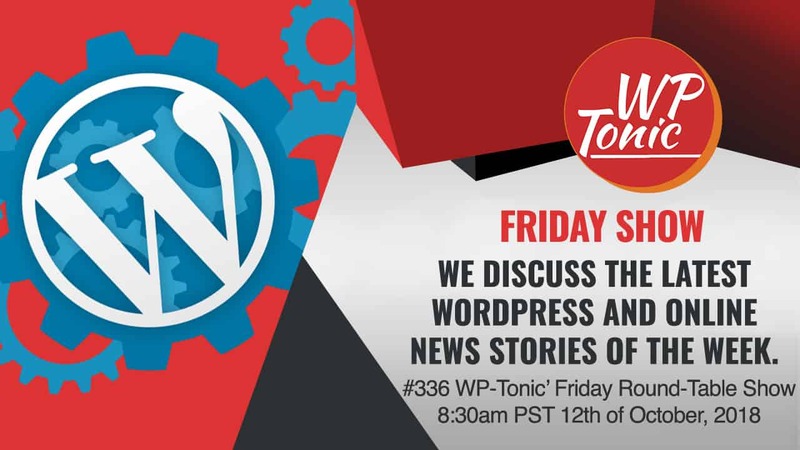 In this episode of the WP-Tonic Friday round-table show we start by talking about Gutenberg and the recent resignation of Rian Rietveld WordPress Accessibility Team Lead which was sad surprise. I’ve got to honest I have some real concerns on how the launch Gutenberg is progressing because the signs don’t look that good. However, I really I hope that I’m wrong and that in 2019 we see a rejunification of WordPress and its community!